Wraparound windshield and deep freeboard promote safety. Three-person aft bench seat and transom boarding ladder. 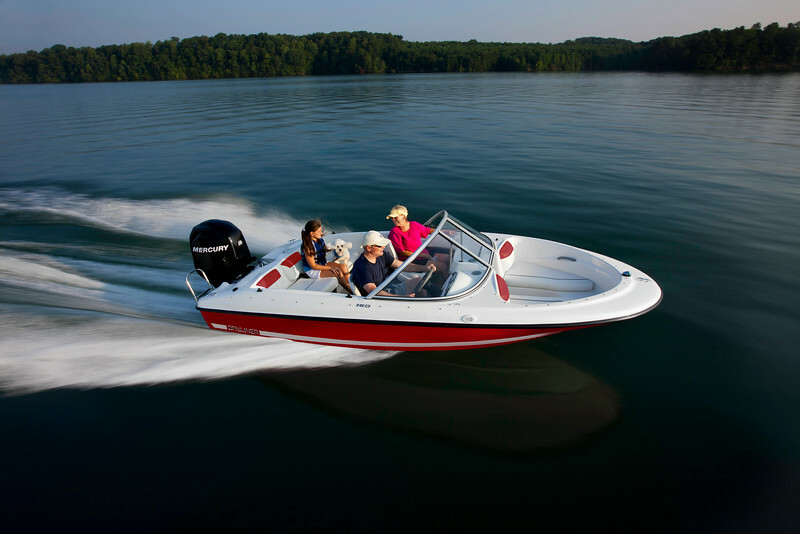 Spacious bow seating with cup holders, grab handles and storage beneath cushions.